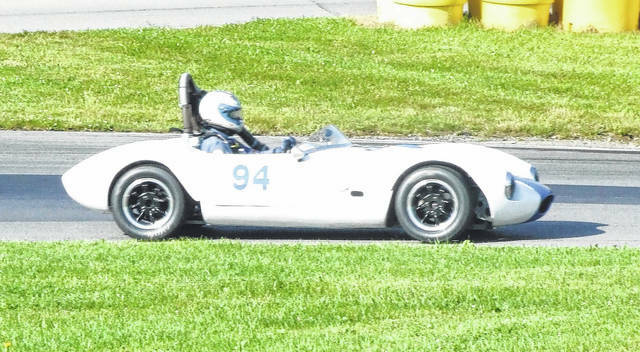 Thomas Grudovich was a double winner in the Group 8 races at Mid-Ohio Sports Car Course’s Vintage Grand Prix. 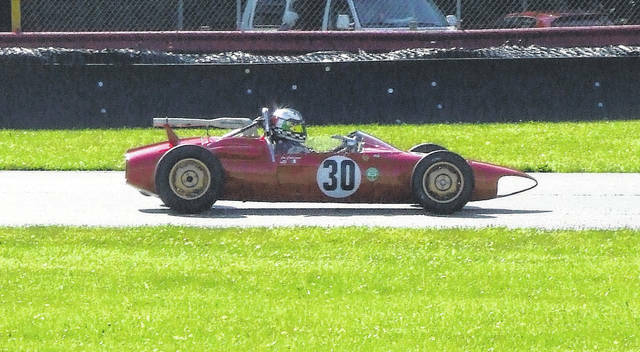 Both Formula Junior races at the Vintage Grand Prix of Mid-Ohio were won by Joseph Colasacco. Don Soenen was a double winner at Mid-Ohio during their Vintage Grand Prix, as he was two-for-two in the Group 10 races. While rain kept cars off the track for the majority of Friday, the weather was nice over the weekend for the Vintage Grand Prix of Mid-Ohio. Vintage cars competed in a number of short races, as well as a handful of endures over Saturday and Sunday. In Saturday’s Mazda Miata Heritage Cup race, Marc Cefalo took first place, while Brian Murdick was second and Joey Selmants ran third. In their race Sunday, the same three drivers placed with Cefalo winning again, Selmants running second and Murdick placing third. The first Formula Junior race featured Gregory Thornton winning, Martin Bullock taking second and Christopher Drake claiming third. On Sunday, Joseph Colasacco finished first, while Thornton was second and Bullock ran third. In Saturday’s race for Groups 1, 3 and 4, Jonathan DeGaynor placed first, Vic Skirmants was second and Robert Hieb was third. On Sunday, Skirmants won, with Hieb going second and Erik Wood placing third. Todd Strong won Saturday’s race for Group 2, while Bob Hatle was second and Tom Linton took third. Strong also won Tuesday, while Hatle was second again and Dennis Firestone ran third. The first Group 5 and 7a race was won by Mark Coombs, while Brent Gernert placed second and Rob Sherwood claimed third place. Coombs also won on Sunday. Sherwood was second and Henry Payne IV finished third. Christopher Stillwell was the winner in the first race for Groups 6 and 12. Don Soenen ran second and Jeff Mitchell was third. Stillwell won again on Sunday, while Soenen followed in second and Mark Rife placed third. The first Group 7b, 9 and 11 race was won by Jacek Mucha, while Robert Gewirtz was second and Craig Bennett placed third. On Sunday, Bennett took first place, Casey Putsch ran second and Gewirtz placed third. 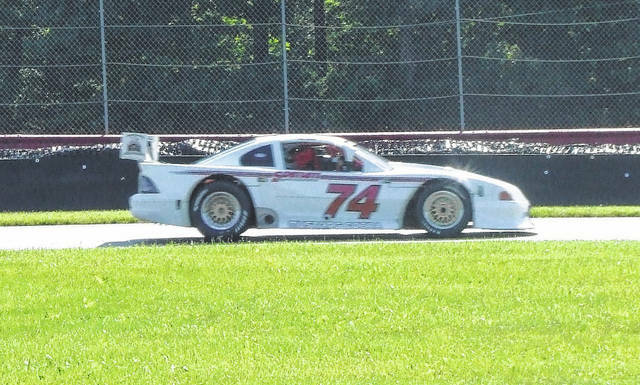 In Saturday’s Group 8 race, Thomas Grudovich claimed the checkered flag, while Tom Briest was second and Chris DeMinco ran third. Grudovich also won on Sunday, while Briest and DeMinco repeated as second and third, respectively. The first group 10 race was won by Don Soenen, while John Cloud was second and Bob Briggs ran third. Soenen also won on Sunday. William Foster placed second and John Wolff took third. The Historic GT/GTP Endurance race was held Sunday. The team of Peter McLaughlin and Dave Handy took first, completing 51 laps in 90 minutes. John Higgins and Charles Monk finished 49 for second place and John Cloud got through 48 for third. Also Sunday was the one-hour Vintage/Classic Endurance Race. Five drivers completed 33 laps with Graham Adelman winning, Christopher Stillwell ran second and John Cloud was third. A third endurance race, also held Sunday, was the IGT Enduro. Steven Hill was first, Thomas Pank took second and the duo of Mark Sandridge and Joe Varde ran third. There were also two regular IGT races. The first was won by Pank, while Hill took second and Sandridge placed third. In the second race, held Sunday, Hill won, Sandridge was second and Pank took third.